Why is it that some people, when faced with adversity, will be forced to defend themselves against further onslaught and erect barriers while others will transform it into a challenge and marshal all their abilities to meet it head on? Our resilience to stress, adversity, and change depends on our inner resources. And while we do not have much control over circumstances that determine our personality, intelligence or availability of support, we all can develop coping strategies. Circumstance does not make the man, it reveals him to himself. We are much more resilient than we give ourselves credit for. By nature, we are equipped to deal with most of what life throws at us. This article details coping strategies that enable us to confront stress in a variety of circumstances, and even welcome it as something that can enrich our lives in new and unexpected ways. Because true resilience fosters wellbeing. How to Increase Stress Resilience? Stress resilience is a positive response to stress known as mature defense according to George Vaillant. He followed a group of Harvard graduates for 30 years and noticed that what distinguished those who lived successful and happy lives from the rest was their ability to employ transformational coping strategies versus defensive or regressive response to stress (Csikszentmihalyi, 1997). When we can take neutral or negative events and transform them into positive ones, we preserve the integrity of our self. We admire those who can turn adversity into an enjoyable challenge and sometimes call it courage. But resilience is a positive adaptive trait that can be learned. Our responses to stress vary with levels of intensity and duration of stressful experiences and therefore have different effects on our body and brain. This is especially important during crucial stages in the development of children. Center on the Developing Child at Harvard University categorizes responses to stress from positive and tolerable to toxic. Mild or temporary stress, although at times serious and marked by an increase in heart rate and hormone levels, is usually manageable when buffered by a supportive relationship. 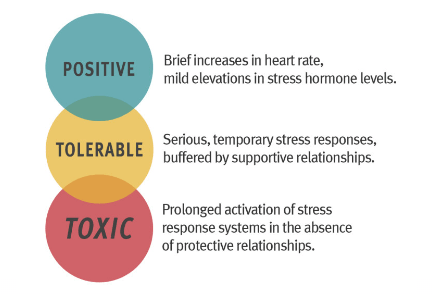 But toxic stress, characterized by prolonged activation of the stress response, occurs most often in the absence of such protective relationships and can be mentally and physically harmful (Center on the Developing Child, 2015). Dr. Kelly McGonigal of Stanford University compiled a number of studies to show that those who perceive stress as harmful tend to experience more stress-related health problems. She argued that how we define stress matters. If we see a situation as a threat, our body goes into a fight-or-flight response, and over time we learn to avoid stressful circumstances. When we see an adverse event as a challenge and an opportunity to rise to the occasion, it generates an approach motivation. Both types of motivation propel action, but one has a long-lasting positive effect on the mind and body while the other can lead to chronic stress, anxiety, and burnout (McGonigal, 2015). Our perspective on stress could be the single most important factor in how we experience it in the moment and over time. While acknowledging the existence of the fight-or-flight response, McGonigal argues that we do have a choice in the matter and describes the biological underpinnings of two other types of response to stress. First is the challenge response that motivates, increases confidence and allows us to learn from the experience. It releases adrenaline as well as cortisol and mobilizes energy. The difference between the fear-driven fight-or-flight response and the challenge response is that the positive response makes us focused and allows us to perform under pressure, and can even lead to flow. Second is the tend-and-befriend response that motivates us toward caregiving, increases courage and strengthens relationships. Driven by oxytocic, we feel compelled to connect to and protect others and to seek out support ourselves. Known as the “love molecule,” oxytocic not only makes us reach out but also increases our cardiovascular health over time (McGonigal, 2015). Dr. Rick Hanson, in his recently published book Resilient: How to Grow an Unshakable Core of Calm, Strength, and Happiness, tells us that most of the stress we experience results from our needs not being met. As children, we learn about our needs through interactions with our caregivers and those experiences influence how we go about seeking to have our needs satisfied as adults, which in turn determines the levels of stress we experience in life (Hanson, & Hanson 2018). Hanson’s recipe for resilience rests on the assumption that we can not only meet our own needs, but can do so from a responsive instead of reactive mode. He assures us that we possess the necessary internal resources to do that and do not have to depend on others or our environment. When our need for safety is satisfied it gives us a sense of peace, but when it is neglected it generates fear. Our internal resources that fulfill the need for safety are grit, calm, determination, sense of agency, clarity, feeling of relaxation, and peace. The need for satisfaction makes us approach novel situations in search of rewards but when neglected it causes frustration. Resources provided by cultivations of gratitude, accomplishment, goals clarity, motivation, aspiration, and contentment allow us to fulfill those needs. Our need for connection compels us to attach to others and gives us a sense of feeling alive, but when neglected it makes us feel hurt and lonely. Some of the psychological resources that satisfy the need for belonging are compassion for others and oneself, assertiveness, forgiveness, generosity, love, empathy, and self-efficacy (Hanson, & Hanson 2018). The next section details Hanson’s recipe for cultivating stress resilience which comes down to finding positive matches to our negative experiences by linking our needs with internal resources. Like most positive psychology tools, these techniques are not quick fixes but instead are preventive measures akin to taking vitamins, where love would be considered a multivitamin. We all live in the mind, in the body, and in the world and while we often don’t have the power over what happens around us and can’t prevent every illness, our mind is a source of great potential for control and therefore for coping with stress. He tells us that resilience is a muscle one develops in everyday life by stretching positive experiences. But first, we need to experience what we want to grow so we can help that become a mental habit. relating positively to others and the world through courage, aspiration, and generosity. Below are some practical ways of discovering and growing our inner resources. By engineering specific positive experiences, we build our psychological capital and learn flexibility, and set the foundation for true resilience (Hanson, & Hanson 2018). Recognizing our ability to cope, according to Hanson, starts with practicing self-compassion. Can you be there for yourself? Try to remember the last time you were on someone else’s side, focus on what it felt like and then turn it onto yourself. Be your own best friend. If you take care of the minutes the years will take care of themselves. Finally, practice self-acceptance. You are not your thoughts or your feelings, you simply have thoughts and feelings. There is no right or wrong way to feel or think in any given moment. Acknowledging the existence of our internal resources can be fostered by practicing mindfulness which according to Hanson is like coming home to yourself. It does not change the experience, but it can bring to mind and magnify the good. Find refuge in your pleasant memories, music, or in wisdom through the practice of affirmations. Be aware of your breathing in many different situations and remember that the best meditation is the one you can actually do. Notice when your attention wonders, reduce distractions and don’t give away your attention. The education of attention would be education par excellence. Mindfulness can also help us move through an upset. Next time you find yourself flustered, tune into your body, observe your thoughts and emotions with compassion, then relax your body and as anxiety leaves, allow for better thoughts to come in (Hanson, & Hanson 2018). 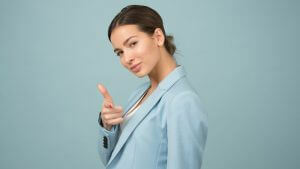 Another form of recognizing our resourcefulness is about our ability to learn. Learning is an inner strength that grows all other strengths. Thanks to research in experience-dependent neuroplasticity, we know today that durable changes in the brain can occur through practicing specific behaviors, e.g. cultivating gratitude. These strengths, when developed well, become our inner resources. 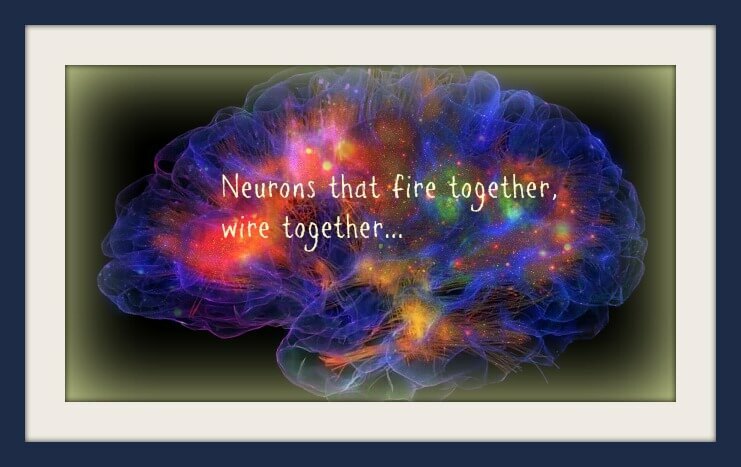 In the words of Donald Hebb “neurons that fire together, wire together” (Hanson, & Hanson 2018). Internalizing beneficial experiences is a process of learning that creates lasting change in our brain. They can become an effective antidote to our tendencies toward falling victim to the power of our negativity bias. The concept of negativity bias explains the gravitation-like pull towards being on the lookout for threats in our environment. It is always present and explains why negative emotions register with greater intensity. Barbara Fredrickson explains that we experience positive emotions in the way that can be compared to how fish can’t see the water (Fredrickson, 2016). Building resilience through cultivating grit is particularly important in the face of adversity. In tough times, you may be able to persist on your own behalf only in your mind and while taking one thing at a time. 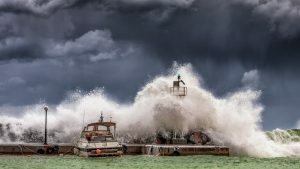 Hanson suggests that when adversity strikes we focus on being alive, remind ourselves that this too shall come to pass and look at the long-term benefits of being patient. You are the sky. Everything else – it’s just the weather. Sense of agency is central to developing grit and boils down to being at the cause not at the effect of life. Even in dire circumstances, we still have a choice on how to respond, by shifting attention to something more useful and returning to balance. Hanson suggests we tend to a cause that we can influence and remember that determination can be playful. He reminds us that resolve is a wholehearted process aimed toward a goal, not a form of an inner tyrant. Patience is also crucial to cultivating grit. This ultimate measure of stress tolerance is our capacity to endure a painful experience without making a bad thing worse. By delaying gratification, we can avoid reaching for quick fixes (Hanson, & Hanson 2018). Gratitude is a magnifying glass like no other when it comes to growing our positive traits. Hanson suggests we take time to say thank you, take pleasure in simple things, be happy for others, appreciate where we are, and recognize and celebrate our own success. Gratitude strengthens the immune system, helps us recover from loss and trauma, allows us to see the big picture and connects us together. It is about feeling good in the moment. Piglet noticed that even though he had a Very Small Heart, it could hold a rather large amount of Gratitude. Hanson suggests we expend positive experiences through lengthening them, coming back to them, imagining them as new, and valuing them. We can also absorb them through the intent to receive and by experiencing a sense of them sinking into our being (Hanson, & Hanson 2018). The origin of the word confidence relates to having trust or faith. We develop trust as children when others are dependable. One of the psychodynamic theories of personality development known as the Attachment Theory (more on that later) explains how first experiences of closeness shape our sense of security and how lack of parent-child interaction and general lack of positive regard from others can influence our self-esteem. Hanson suggests that in order to increase confidence, we take in the feelings of being cared about at every possible moment. Caring is about feeling included, seen, appreciated, and liked so pay careful attention to people who are affectionate, interested, empathic, friendly and grateful toward you. Sometimes we will simply need to stand up to our inner critic to strengthen our resilience. Are you raining on your own parade? Are you telling yourself you’re not good enough in some way? Imagine having a caring committee and call on your inner nurturer to be on your side (Hanson, & Hanson 2018). Calm is a mental resource that helps us deal with mental and emotional pain and can be cultivated through practicing relaxation, centering, seeing threats accurately, and cooling anger. Hanson instructs that relaxation should be made a priority throughout the day to make it a habit. Biofeedback, progressive relaxation, body scan or any form of autogenics are some of the many great ways to relax. We can also actively recharge our batteries by doing yoga, walking meditation, dancing or singing. Cultivating a sense of calm can also be accomplished through meditation. Deliberate control of attention and contemplation combat our tendency towards being enmeshed in our own thought process and feelings. Insight meditation, for example, allows us to observe three characteristics of human existence: impermanence, suffering, and not-self. Concentration practices simply focus our attention on the object of meditation to prevent awareness of other objects. Both are effective methods for momentary disruption of mental proliferation where our habitual attachment or aversion to feelings has a multiplying effect on our thoughts, especially those that are negative (Grabovac, Lau, & Willett, 2011). Regulating our motivational machinery is another important milestone in building resilience to stress. Pursuing experiences that are stimulating and activate our reward systems allows us to stay engaged and focus longer on the activity. We differ in the number of dopamine receptors we have in our brain, Hanson tells us, and some of us need a greater intake of positive experiences and simply need more rewards to stay motivated. Just become totally content and happy from within. Then you will get all that you want. We can ramp up the number of rewards we receive by looking for experiences that are new and enjoyable. We can also increase their variety, take more breaks, find ways to receive feedback, and share our positive experiences with others. We can also bring more attention to them by highlighting them in our mind and by increasing our sensitivity to them. Hanson reminds us that liking is not the same as wanting. We can like something and feel satisfied without the stress of wanting (Hanson, & Hanson 2018). Ed Diener and Martin Seligman published a research paper called “Very Happy People” where they interviewed participants about their levels of happiness and found that very happy people had rich and satisfying relationships. Compared to those with average levels of happiness, very happy people reported spending little time alone (Diener, & Seligman, 2002). Hanson suggests that we develop a habit of deliberate empathy where we pay careful attention to the other person during our interactions and strive to be receptive. To do that well it’s important to relax and notice our body language, track micro-expressions on the face of the other person and make eye contact. 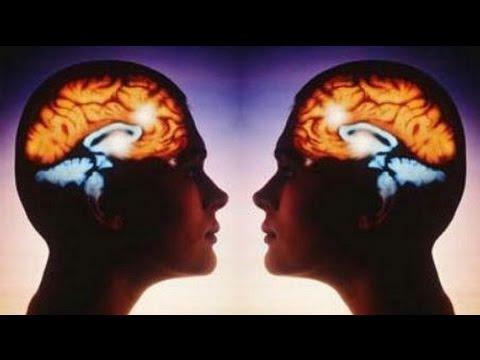 Paul Ekman, who studies fleeting emotions, remind us of mirror neurons who help us tune into the feelings of others by mimicking their body language and facial expressions. We can develop greater compassion for others by imagining their burdens, especially people who are not like us. Good experiential practice here would be loving-kindness meditation (Hanson, & Hanson 2018). Resilience is about more than simply managing change, stress or pain and Hanson calls us to tap into the inner resource of courage, particularly in relationships. The word courage comes from the word heart. We can develop this resource by speaking from the heart, asserting ourselves, practicing open and authentic communication. One is not wise because one speaks much; one who is peaceable, friendly, and fearless is called wise. In a relationship, this means that we communicate in terms of requests versus demands and make repair attempts when conflict arises. Speaking wisely is about asking yourself what would be truly beneficial for everyone involved, but one must have clearly defined values first and be able to focus on long-term results (Hanson, & Hanson 2018). What happened to the dreams you had for your life as a child? Honoring your dreams and aspirations is about keeping promises to yourself. We limit our lives when we stop or avoid chasing our dreams and live at the edge of all the experiences we fear. To live is to look to the future. Are you playing small? If you were to take a risk, how painful would the experience really be, do you have the resilience and the inner resources to deal with it? Can you pursue your dreams while being at peace with what happens? Are you spending your time pushing toward dead ends or living aspirations others have for you? The author of Resilient suggests we pursue experiences that are at the intersection of our likes, talents, and values in all the important areas of our life: love, work, and play. Enjoy your talents, cultivate a growth mindset and be okay with failure, draw on teachers and mentors, surround yourself with people who appreciate you, and remember your successes. Finally, ask your future self for advice. You may be surprised by what you hear (Hanson, & Hanson 2018). Human beings are by nature altruistic and capable of giving without expecting anything in return. Altruism is at the heart of generosity and is of more lasting value if we look for opportunities to give in form of time or expressions of empathy. Hanson reminds us that we should practice compassion with equanimity so we can acknowledge the pain of another without becoming emotionally flooded. It is also important to appreciate yourself as a giver as it will propel you to do it more often (Hanson, & Hanson 2018). Forgiveness is also a form generosity. Makrothumeo is the Greek word for forgive. Its literal meaning is “have patience with me; give me time” (Thayer, & Strong, 1995). We live in a complex world. To thrive in times of exponential change, we must know what we can control and be able to deal with ambiguity. Love nothing but that which comes to you woven in the pattern of your destiny. For what could more aptly fit your needs? We all respond to change differently so awareness of our own and others’ responses to change is crucial. Some are energized by it, while others find it exhausting. Some of us thrive on change while others see it as something to be endured. There is no right or wrong when it comes to reactions to change, it’s what we do with this knowledge that matters. Change is often experienced as something external but our response to it is an internal experience of transition. The uncertainty and ambiguity that surround change cause stress and some may experience it as a form of loss. Dr. William Bridges suggests that we focus on increasing that which we are afraid of losing. Control. If the stress we experience is caused by a fear of losing control, it helps to focus on what remains under our influence even if it’s only our responses. Bridges suggest we create opportunities for ourselves outside of the change. Choice. If our stress is caused by worry about losing the ability to choose, we should focus on the areas where options are still available to us. This may require zooming out to see the big picture or simply taking a different perspective. Competence. When ambiguity causes stress, it shakes our sense of competence. Sometimes it helps to look for information that satisfies our need for answers. Connection. When stress is caused by the fear of lost connection, we can turn to new possibilities for relationships and support (Bridges, 1980). The new beginning where we internalize new values, understandings, attitudes and even new identity (Bridges, 1980). Another answer to increasing resilience to change is to cultivate what Csikszentmihaly calls unselfconscious self-assurance which comes down to taking the attention away from ourselves and focusing it on the environment while maintaining confidence in our ability to cope. Richard Logan who studied polar explorers and concentration camp survivors found that the common attitude among them was a belief in their ability to shape their destiny (Csikszentmihaly, 1997). Change resilience is a major topic for organizations. Many find themselves unprepared as a recent IBM global study of 1500 CEOs concluded. There is a lot of talk about adaptive leadership, disruption, and agility. The pace of change in today’s business world is often compared to that in wartime. In this new environment, leaders are encouraged to test different scenarios to combat uncertainty, to teach their employees how to reframe failure and to challenge conventional thinking (Nawaz, 2017). One adaptive approach to stress caused by an exponential change in the workplace is the process of Appreciative Inquiry and can be applied to both organizations and individuals alike. It is a form of learning and organizational analysis that starts with an inquiry into what is possible versus what is problematic or requires fixing. It is a form of inquiry into human potential in an affirming and appreciative manner that fosters innovation and is geared toward understanding through discovery. It is a collaborative process of tapping into the knowledge of the “positive core” and “life-giving” forces and yields useful, applicable and validated information (Orem, Binkert, & Clancy, 2007). The five principles that form the foundation on which Appreciative Coaching is built include constructionist, positive, simultaneity, poetic, and anticipatory principles. The Constructionist Principle is about creating a foundation for a possible future that is based on past successes and abilities and their application to new areas. The Positive Principle connects us to positive attitudes and actions in the pursuit of a dream and can connect is to a long-term change by expressions of hope, joy, and inspiration. The Poetic Principle puts us in charge of our own narrative and reinterpretations of our life story and allows us to reframe and reimagine in a more optimistic and powerful way. Finally, Anticipatory Principle is about visioning and imagining the future so it can guide our actions in the present moment (Orem, Binkert, & Clancy, 2007). Resilience skills can enable anyone to work through cycles of stability and change, adversity and even trauma, but not all of us start in the same place. There are aspects of our ability to cope that are rooted in our early childhood experiences and as such may require a different approach. How Do (Childhood) Trauma and Resilience Relate? Adverse events strike everyone indiscriminately, but the long-term effects of trauma are most profound when experienced in early childhood. The development of brain architecture during the early years of life is most sensitive to external influences during that period and can significantly affect future learning, behavior, and health. Early childhood experiences determine the expression of genes in many important organs but particularly in the brain. Both positive influences like rich learning environment and negative experiences like malnutrition change the chemistry that encodes genes in our brain cells. These chemical signatures called epigenomes are triggered by external experiences that signal neurons to produce protein and either attach or repel enzymes to or from the genes. 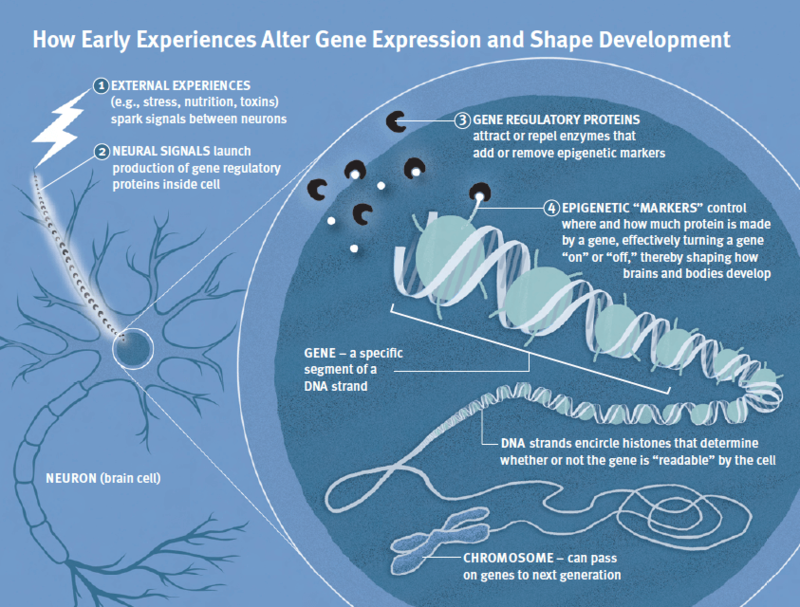 These changes called epigenetic modifications can be temporary or permanent and impact mental and physical health for a lifetime (Center on the Developing Child, 2015). Illustration by Betsy Hayes. Credit: Center on the Developing Child. 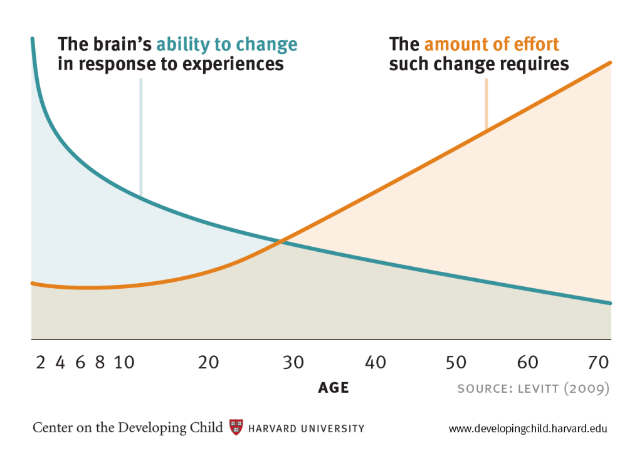 The amount of effort required to reverse the adverse effects of childhood trauma grows as we get older, while the brain’s ability to change in response to experience lessens. While exposure to stress is a vital part of healthy development, the presence of toxic stress leads to weakened architecture in the developing brain which in turn causes later problems in physical and mental health including adverse changes in learning and behavior (Center on the Developing Child, 2015). The presence of supportive and nurturing relationships is crucial in recovering from childhood trauma, but the absence of adequate care can itself become a traumatic experience that has long-term effects on the child’s development. John Bowlby’s Attachment Theory born out of the research of Harry Harlow, stresses the role of first experiences of closeness, and how the sense of security a child learns to establish in infancy can influence his or her attitude toward the world and people. Bowlby believed that once these working models of the self and others are established, they have a long-term effect on the development of personality. Lack of parent-child interaction and the general lack of positive regard from others can influence self-esteem and the ability to cope (Bowlby, 1977). Specific healthy and unhealthy patterns in personality development can be explained through the attachment theory. Emotional distress and types of personality disturbance in the form of anxiety, depression, emotional detachment, and anger are determined by the poor propensity to form strong relational bonds. Bowlby believed that these early experiences played a role in behavior patterns a person exhibited later in life and can help us understand propensities toward the development of maladjustment and pathology (Bowlby, 1977). In cases where attachment figures are not responsive in times of need and a sense of security cannot be established, other strategies are developed instead and internalized to compensate for lack of stability and lead to the creation of secondary attachment strategies. “The future of any society depends on its ability to foster the healthy development of the next generation” – (Center on the Developing Child, 2015). The two major dimensions of the affect regulation are anxiety and avoidance, with distinct patterns of behavior, emotions and relational expectations. Securely attached individuals score low on both dimensions and tend to have higher quality of relationships and adjust to them easily, while those who exhibit anxious and avoidant tendencies tend to worry about the relationship and be codependent or be distrustful and distant while suppressing emotions (Holmes, 2014). The anxiety dimension is characterized by worrying that a partner will not be available in time of need and often leads to hyper-activating strategies where the person makes intense efforts to gain closeness and safety. Anxiously attached individuals perceive themselves as incompetent in regulating emotions and helpless and tend to be overly dependent on relationship partners for a sense of security. They exhibit controlling behaviors and use demands and clinging to elicit partner’s support and involvement (Holmes, 2014). Those with the more avoidant style of attachment have less trust in the goodwill of their relationship partners and seek to maintain emotional distance and independence to avoid psychological distress caused either by partner’s unavailability or their disapproval of one’s needs. They tend to practice deactivating strategies by downregulating the attachment system through denial of emotional involvement, attachment needs, avoidance of intimacy and dependence on a relationship (Holmes, 2014). Both hyperactivating and deactivating tendencies influence emotional experiences and their quality, and some suggest that attachment plays a significant role in prosocial behavior, and specifically with regard to tendencies toward sharing, helping and comforting (Gross, Stern, Brett, & Cassidy 2017). Some of the known interventions rooted in the attachment theory include focusing on the unmet attachment needs and the emotions experienced as a result, using relational reframe and creating corrective attachment episodes, particularly in family therapy (Diamond, 2014). Others have taken the somatic approach as in sensorimotor psychotherapy of Pat Ogden where mindfulness is employed to gain self-knowledge necessary for exploring emotional biases and cognitive distortions and development of somatic coping resources (Ogden, 2015). Serious and traumatic experiences, however, require a more complex approach and many of the models used today combine several different methods. The Trauma Resiliency Model (TRM) was first developed as an intervention for victims of natural disasters. Informed by neuroscience, this somatic approach to treating trauma survivors has expended its applications to complex and more persistent cases including childhood experiences of trauma and Post Traumatic Stress Disorder (PTSD). TRM’s primary goal is the development of resilience (Troeger, 2018). Studies of people with adverse childhood experiences have shown the presence of lasting traces of trauma in the body that lead to harmful health effects over time. Many participants reported heart conditions, diabetes, and cancer and were more prone to suffering from addiction and mental health problems (Grabbe, & Miller-Karas, 2017). In contrast to talk therapies which take “top-down” cognitive approaches to the treatment of trauma, TRM is a body-based, “bottom-up” intervention informed by somatic experiencing. Neuroscience shows that traumatic events leave scars in the victim’s nervous system by changing neurotransmitter and neuroendocrine functioning. They damage the protective layer at the end of chromosomes knowns as telomeres which contributes to the onset of disease and aging of cells (Troeger, 2018). TRM defines resilience as the ability to recover from and endure strain by developing awareness of the body’s inner state and cultivating emotional flexibility. The model teaches skills for steadying the nervous system, self-regulating and “reprocessing” trauma. It combines independent practices with clinician-lead therapy. grounding, or directing focus to the feeling of the body while touching surfaces like the floor to provide a feeling of safety (Grabbe, & Miller-Karas, 2017). Reprocessing of trauma must be done in therapy by trained professionals as it can be often unsettling. Pendulation, for example, a method of Somatic Experiencing, allows the client to gradually move away from the distress through sensory release and move toward a sense of wellbeing (Troeger, 2018). TRM allows trauma survivors to develop resilience and new healthy neural circuits by connecting to their inner resources to overcome triggers and physiological responses to threats that are trapped in the body. Unlike cognitive approaches, it does not require re-telling and therefore re-living of the traumatic experience and represents a more gentle approach to treatment (Troeger, 2018). When life pulls you under kick against the bottom. Recovering from complex trauma and PTSD is no small accomplishment and although it requires time and support of mental health professionals, many survivors are stronger for the experience. Seeking support is a crucial aspect of the recovery process and there are many resources available to those who need help. National Center on the Psychology of Terrorism. Everyone should be aware of the existence of these invaluable resources before they need to use them. There are many degrees of adversity and sometimes we are dealing with more ordinary setbacks that nevertheless cause stress. Next, we look at suggestions for building resilience while under fire from stresses of daily life in the 21st century. Can you build your plane while flying it? Facing adversity often feels that way. Resilience is more than bouncing back from setbacks. It is about pursuing your goals in the face of adversity and often feels like cheating chaos. Perseverance and sense of purpose are needed to develop resilience in face of adversity. Kelly McGonigal suggests that in the middle of a stressful situation, reflecting on our values can help us cope. She challenged her students to pick a value and find a way to honor it and exercise it like a character strength in a stressful situation. This form of mindset-shift intervention allows us to change our internal narrative toward a language of personal adequacy and see ourselves as someone who overcomes difficulties. With time we become more likely to approach challenges instead of avoiding them (McGonigal, 2015). The good things which belong to prosperity are to be wished, but the good things that belong to adversity are to be admired. According to Adam Grant resilience is not a fixed trait or inherent capacity to endure pain. There is no such thing as a backbone, but instead, it is a muscle one can develop when one’s resilience is tested. We all vary in the level of strength and speed of response when it comes to dealing with adversity. Not everyone starts in the same place when it suddenly strikes and not all of us have the same level of capacity to persevere. It helps to be realistic as hope will not win out over pain every day (Sandberg, & Grant, 2016). Another useful technique for dealing with stressful situations developed by Dr. Robert Biswas-Diener is parsing apart negative emotional experiences. Known as emotion differentiation, it relies on our ability to name our feelings. Our emotions are rarely simple, we experience several different emotions at a time. If we start taking them apart, one strong emotion that was overwhelming becomes several less intense and less toxic feelings that allow us to relax. For example, anger could become disappointment, frustration, and guilt and recognizing those lesser aspects of our feelings allows us to withstand them (Biswas-Diener, 2017). Permanence when we tell ourselves that the pain will last forever. Cognitive therapies can be employed to combat unhelpful thought patterns and mindfulness-based interventions (MBIs) are particularly effective. Acceptance and Commitment Therapy (ACT), Mindfulness-Based Cognitive Therapy (MBCT), and positive reappraisal are few that draw on the power of insight and acceptance by employing change mechanisms like metacognitive awareness, defusing, reperceiving, and decentering (Grabovac, Lau, & Willett, 2011). Acceptance and Commitment Therapy (ACT) is a form of mindfulness-based cognitive therapy that brings our awareness to our tendencies to avoid pain, arms us with techniques that combat cognitive distortions, teaches us to be present for our immediate experience and be accepting of reality, and finally improves our chances at life satisfaction through cultivation of values. It is a path towards psychological flexibility that allows us to learn to love the life we already have versus chasing after some ideal that is always just outside our reach. There will be difficulties in whatever you do in life, but it is better to have problems that make sense because they are a part of what you are trying to achieve. The ACT approach addresses areas of concern where we are blocked from reaching life satisfaction and can point us in the direction of what is truly important to us and helps us act on those things that we value. Specifically, it addressed how our lack of acceptance of our own feelings and thoughts leads us to often paralyzing fusion with harsh judgments we pass on ourselves (Harris, 2008). Acceptance is one of the mindfulness techniques in the ACT. It is not resignation or capitulation but simply non-judgmental awareness of our thoughts and feelings through noticing and observing them as they are in the moment (Harris, 2008). This attitude of acceptance takes a degree of courage as it is in the direct opposition to experiential avoidance. An example of acceptance would be thanking your mind for having a thought, however painful. there are many roads to happiness and not all of them are pleasant. ACT mindfulness skills include Defusion, Expansion, Connection, and cultivation of the Observing Self (Harris, 2008). We can notice our ongoing mental and emotional events without judging them. We can also make room for uncomfortable feelings instead of avoiding them. We can defuse the power of negative thoughts by seeing that they are transient, often exaggerated and that our self-image is often fused with them. Defusion is about changing our relationship to our feelings and thoughts by practicing mindfulness and paying attention to our experience with a sense of openness and curiosity about our experience. by realizing our values through committed actions (Harris, 2008). Defusion can help us separate our sense of self from the internal conversation that is often full of cognitive distortions and realize that having certain negative thoughts and emotions does not stop us from acting on what is important to us. The freedom we gain from the onslaught of mental proliferation by practicing mindfulness skills creates space in our attention to contemplate our values and can allow us to harness the energy we need to take committed action toward making them a reality (Harris, 2008). What is to give light must endure burning. The concept of values in ACT is distinct from that of goals. Values in ACT are not feelings as in “I want to be happy.” Instead, we are told that values should be tied to specific actions we can take to express them. Sometimes it takes contemplating those specific actions that we take or need to take that allows us to see what our values really are. Committed action in ACT is about bringing our values to important areas in our lives and setting small achievable, measurable and specific goals around them (Harris, 2008). While cognitive therapies can be an effective form of acquiring coping skills, we cannot forget that our bodies are also affected by the stress we experience. There are many effective ways through which we can work with our bodies to combat stress in the moment and over time by learning relaxation techniques. Relaxation is moving the body from stress response to relaxation by activating a parasympathetic nervous system. Physical techniques like yoga, massage, progressive relaxation change the body’s physiology and address the tension directly. Cognitive techniques work indirectly by relaxing the mind which in turn relaxes the body. Imagery, visualization, meditation, and autogenic methods relieve the mental aspect of stress by quieting the mind. The most effective plans for recovery from stress should combine both physical and cognitive techniques. It is also recommended that they all include a mindfulness component which is considered crucial to developing self-awareness necessary for assessing, monitoring and controlling the experience of stress and progression through relaxation. There are many other ways to build resilience skills and it certainly would pay dividends to do so before we need them. We can’t foresee all adversity that comes our way and loss of a loved one can be one of the hardest to deal with. They say the human brain struggles with processing the absence of things but that certainly is not true when we speak of loss. For many dealing with the aftermath of the death of a loved one feels like gaping into an abyss. C.S. Lewis was known to say that grief felt very much like fear. 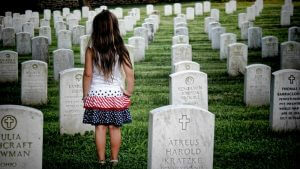 Many people experience a paralyzing sense of void when they are faced with loss in their life, others describe a feeling of lead or gasping for breath. Life changes in the instant. The ordinary instant. Leaning into the pain by allowing ourselves to fall apart. Sandberg honestly and authentically chronicled her suffering and fear and anyone who read her book, co-authored with Adam Grant, would agree that it is a great example of benefits of journaling as a form of cognitive processing. To make her feel better Grant would occasionally throw research at Sandburg and share with her studies that showed the experience would transform after 6 months and that acute grief would pass within that time for more than 50 percent of people (Sandberg, & Grant, 2016). Nevertheless, coping with loss is a complex process that involves recognizing that our resilience comes from within and our support from outside. Sandberg reminds us that dealing with the death of a loved one is often about forgiving ourselves, acceptance of pain and a struggle to find gratitude for what’s still good in our life (Sandberg, & Grant, 2016). Individual responses to a loss of a loved one are unique to everyone but there are some common phases of processing that many shares and that can give hope to those who are suffering and can’t seem to see the light at the end of the tunnel. 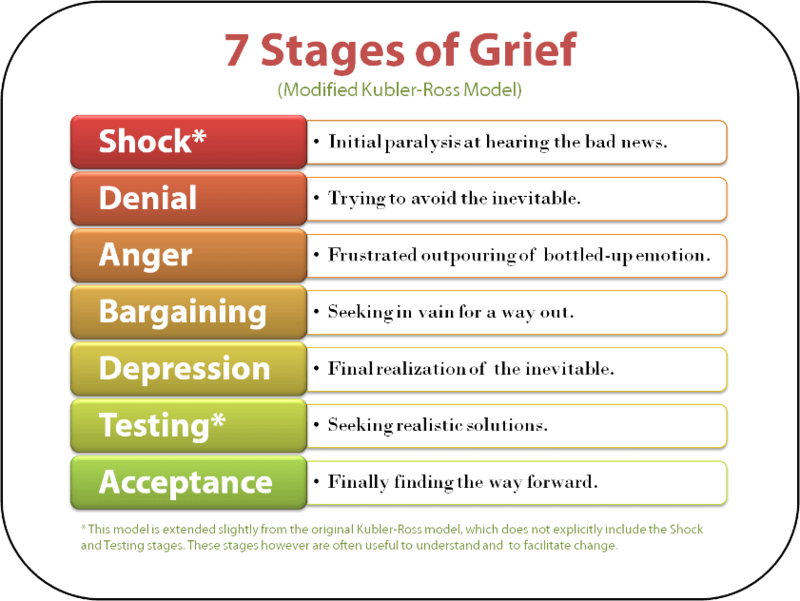 The Center for Trauma and Resilience divides emotional reactions to loss into 3 stages. Shock stage, which usually lasts for a few hours, can immobilize some individuals to a point where they can’t concentrate or remember how to do simple things. To others it may feel like what is happening is not real. Impact stage, which feels like an emotional roller coaster, is where people find themselves drifting between anger and sadness. This can last for a few days or weeks. Guilt and helplessness usually set in at this stage and people feel anxious and scared, have trouble sleeping and can suffer from depression. Resolution stage that can last from a few weeks to a few months, is when we start to recognize that our reactions are normal. We learn to accept our feelings, forgive ourselves and seek support. Coping with the loss of a loved one can be a life-altering experience and is so individualized and varied that any form of advice can seem contrived. While it is impossible to account for all the emotions one experiences while grieving and there is no single solution that can alleviate all pain, there are ways in which moving on with life can be made a little easier. Finally, it is important to rest, eat well and exercise. Inevitably some will find themselves overwhelmed, struggling with grief for a long time and unable to carry out daily tasks. This could be a sign that they may be experiencing complicated grief and may need to reach out to a licensed psychologist. Resilience and the ability to cope with stress and trauma effectively is a job requirement in many professions but probably none more apparent than in healthcare and particularly intensive care units. A recent study reported critical shortages in ICU nursing staff where turnover rates exceed 25 to 60% and departures from the profession are rapidly accelerating. ICUs are stressful places to work and days are ridden with tension, ethical dilemmas, and high patient morbidity and mortality. Many practitioners develop anxiety, depression, PTSD and burnout syndrome (Mealer, et al, 2014). A recent study in Colorado tested the effectiveness of a multimodal resilience intervention and found that some nurses were able to develop resilient copying strategies (Mealer, et al, 2014). The program was based on the understanding that self-care, positive support systems, and active coping skills are major factors in promoting resilience. The intervention comprised of Cognitive behavioral therapy, mindfulness-based stress reduction, expressive writing, and exercise. Each participant attended a two-day workshop which included education on types of psychological distress normally experienced in the ICU, self-care strategies and cognitive behavioral methods for cultivating optimism, faith, cognitive flexibility, and the importance of support seeking behaviors. Written exposure therapy sessions, modeled after Pennebaker’s expressive writing framework, were led by experts trained in motivational interviewing. Mindfulness-Based Stress Reduction (MBSR) techniques were demonstrated and participants were encouraged to practice for 15 minutes 3 times per week for 12 weeks. A 3-month gym membership was provided at no cost asking nurses to take part in aerobic exercise of 30 to 45 minutes 3 time per week. Finally, cognitive behavioral therapy sessions were provided after events that triggered stress and included the challenging of negative thoughts, restructuring and promoting resilience through cognitive flexibility (Mealer, et al, 2014). The study found that resilience can be taught and strengthened through learning to be adept at facing fear, developing active coping skills, having a supportive special network and a sense of humor. Written exposure therapy showed to reduce PTSD symptoms and workshop environment and therapy promoted connection and emotional support (Mealer, et al, 2014). Resilience is important in all professions and in all aspects of life and books and resources on the subject abound. Here is a list of a few that could also prove to be an enjoyable read. For those who find comfort and inspiration in beautiful words of wisdom here are uplifting quotes on resilience from people whose lives speak to overcoming of adversity. The moment you doubt whether you can fly, you cease for ever to be able to do it. I’m always perpetually out of my comfort zone. All things which greatly hurt me greatly teach me. Strength does not come from winning. Your struggles develop your strengths. When you go through hardships and decide not to surrender, that is strength. 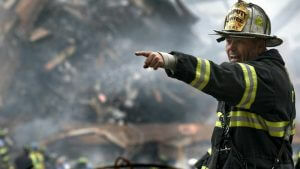 I think a hero is an ordinary individual who finds strength to persevere and endure in spite of overwhelming obstacles. You can’t be that kid standing at the top of the waterslide, overthinking it. You have to go down the chute. It takes a great deal of bravery to stand up to our enemies, but just as much to stand up to our friends. Success consists of getting up just one more time than you fall. Students must have initiative; they should not be mere imitators. They must learn to think and act for themselves – and be free. I’m not afraid of storms, for I’m learning how to sail my ship. What is the difference between an obstacle and an opportunity? Our attitude toward it. Every opportunity has a difficulty, and every difficulty has an opportunity. Every strike brings me closer to the next home run. The future doesn’t belong to the light-hearted. It belongs to the brave. The very things that hold you down are going to lift you up. It is being honest about my pain that makes me invincible. Use pain as a steppingstone, not a campground. Fear of failure is the fuel of achievement. If you weren’t afraid to fail, you probably wouldn’t be highly motivated to work at the level that most of us have to work at to do well. Resilience is about how we respond to and recover from not only difficult and painful experiences but also minor stresses and constant change. There are no perfect answers. There are only answers that are right for you, and what worked last time may not work in different circumstances. Context matters. We are shaped by our responses to experience, not by what happens to us. One can choose not to be pulled through life kicking and screaming. And maybe we’ll have to admit to ourselves that sometimes we all live some form of option B and be okay with what live throws our way. 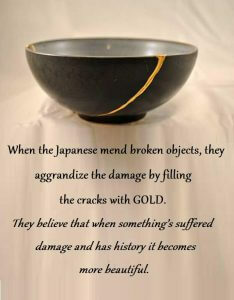 Kintsugi is a Japanese art of plating broken things with gold to illuminate the cracks. Based on a philosophy that embraces the flawed and imperfect, Japanese value marks of wear and believes in fate as an aspect of human life. Just like the cracks and repairs that are moments in the life of an object to be highlighted, so are adversity and change in our journey toward resilience. Resilience is forged and we are stronger in those broken places. Share with us your favorite strategies. Center on the Developing Child (2015). The Science of Resilience (InBrief). Retrieved from www.developingchild.harvard.edu. Csíkszentmihályi, M. (1990). Flow: The Psychology of Optimal Experience. New York, NY: HaperCollins. Csíkszentmihályi, M. (1997). Finding Flow: The Psychology of Engagement with Everyday Life. New York, NY: Basic Books. Diener, E. (2000). Subjective well-being: The science of happiness and a proposal for a national index. American Psychologist, 55, 34-43. Grabovac, A. D., Lau, M. A. & Willett, B. R. (2011). Mechanisms of Mindfulness: A Buddhist Psychological Model. Mindfulness 2:154 – 166. Hanson, R., & Hanson, F. (2018). Resilient: How to Grow an Unshakable Core of Calm, Strength, and Happiness. New York, NY: Penguin Books. Kashdan, T.B. & Ciarrochi, J. (2013). Mindfulness, Acceptance, and Positive Psychology: The Seven Foundations of Well-Being (The Context Press Mindfulness and Acceptance Practica Series) (Kindle Locations 361-363). New Harbinger Publications. Kindle Edition. Lahey, J. (2015). The Gift of Failure: How the Best Parents Learn to Let Go So Their Children Can Succeed. New York, NY: Penguin Books. Lyubomirsky, S. (2007). The how of happiness: a new approach to getting the life you want. New York, NY: Penguin Books. McGonigal, K. (2015). The Upside of Stress: Why Stress Is Good for You, and How to Get Good at It. New York, NY: Penguin Books. Ogden, P., & Fisher, J. (2015). The Norton series on interpersonal neurobiology. Sensorimotor psychotherapy: Interventions for trauma and attachment (D. Del Hierro & A. Del Hierro, Illustrators). New York, NY, US: W W Norton & Co.
Orem, Sara L.; Binkert, Jacqueline; Clancy, Ann L. (2007). Appreciative Coaching: A Positive Process for Change (Orem, Binkert, & Clancy, 2007, pp. 203-208). Wiley. Kindle Edition. Mindfulness and the Brain: What Does Research and Neuroscience Say? What is Self-Reliance and How to Develop It? 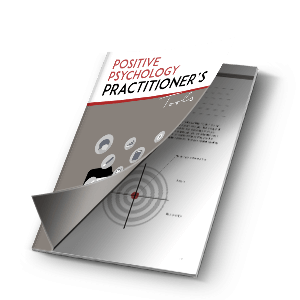 Download These 3 Positive Psychology Exercises For Free! Copyright 2019 Positive Psychology Program B.V. All Rights Reserved.